2. If you are lazy and don't work when you can, you should not eat (2Th 3:10). 3. If you are wasteful, you will likely be poor (Pro 12:27; Pro 18:9). 4. If you are foolish with your money, investments, or business ventures, you will likely be poor (Pro 13:23). 5. If you love pleasure and the "finer things in life", you will be poor (Pro 21:17). VIII. It is best to be neither rich nor poor, but to be in that middle station of life. 1. A wise man should want neither poverty nor riches (Pro 30:8-9). 2. We should pray for God to give us our daily bread, not our lifetime bread, nor no bread at all (Mat 6:11). 3. We should be content to have food and clothing (1Ti 6:8). IX. We must be good stewards of what God has given us. 1. 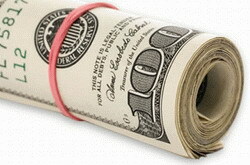 Saving and investing money is commended by God (Mat 25:14-30; Luk 19:12-27). 2. A fool spends everything he makes (Pro 21:20). 3. Strong men retain riches (Pro 11:16). 4. If you send everything you make, you are demonstrating that you are a weak person. X. If we are to have wealth, it must be worked for. 1. Wealth that is gotten by hard work will last, but wealth gotten by vanity (luck, lottery, etc.) will not last (Pro 13:11). 2. Someone that comes into great wealth through inheritance will likely lose it just as quickly (Pro 20:21). 3. The prosperity of fools shall destroy them (Pro 1:32). 4. Talk is cheap: people that only talk about making money usually don't have any (Pro 14:23). 5. Karl Marx's wife allegedly exhorted him to quit writing so much about capital and actually work and earn some. XI. It is wise and godly to save money and not spend everything we make. 1. We should give a portion of our income to God (Pro 3:9-10; 1Co 9:7-14). 2. We should save for a rainy day and for retirement. A. Go to the ant thou sluggard (Pro 6:6-9; Pro 30:25). B. Why do ants know to lay up in store for the future, but most Americans don't? 3. We should save to help the poor. A. Those that help the poor will be blessed (Pro 22:9). B. Those that honor God have mercy on the poor (Pro 14:31). C.	God will repay those who give to the poor (Pro 19:17; Pro 28:27). 4. We should save to give an inheritance to our children and grandchildren (Pro 13:22; Pro 19:14; 2Co 12:14). XII. It is foolish to be in debt. 1. Sin is called debt (Mat 6:12 c/w Luk 11:4). 2. We are to owe no man anything (Rom 13:8). 3. The borrower is servant to the lender (Pro 22:7). A. If you're in debt, you're a slave to a banker. B. We are not to be servants of men (1Co 7:23). C.	To be debt-free is to be free. 4. It is foolish to be in debt because you pay more for whatever you buy because of interest. 5. A person that finances something is an impatient and uncontent person. A. A content person is happy with what his has (Heb 13:5). B. An uncontent person is not happy with what he has and borrows money that he doesn't have to buy something he wants (and probably doesn't need). C.	Contentment is learned -- it doesn't come naturally (Phi 4:11-12). 6. To be in debt and to be a conservative or a libertarian is to be a hypocrite. A. How can you criticize the government for its deficits and be in debt yourself? B. Take the beam out of your own eye before you try to take the mote out of Washington DC's eye (Mat 7:1-5). 7. A person who is in debt is contributing to our country's demise. A. Every time a loan is made, new money is created which inflates and dilutes the money supply. B. Saving money creates reserves that businesses can borrow from to invest in producer goods which are used to create consumer goods which causes economic growth. C.	Borrowing money to spend on consumer goods wastes resources and increases our trade deficit. 1. Rule #1: Don't finance anything (with the possible exception of a house). If you don't have the cash in hand to buy something, then don't buy it. 2. Rule #2: Pay for things with physical cash, not credit. This will make you much more conscience of what you are spending your money on and will help you to keep within your budget. 3. Rule #3: If you use a credit card, use it as cash and pay it off weekly (or daily). 4. Rule #4: Get out of debt as quickly as possible. i. Eating out for lunch instead of packing (this can easily cost you $220/month ($10 x 22 days)). ii. Eating out for dinner (depending on the size of your family and the frequency, one could easily spend hundreds of dollars per month on eating out). iii. Getting coffee or specialty drinks at coffee shops (one drink per day can easily cost you $120/month ($4 x 30 days)). iv. Smart phones (easily can cost $100 or more per month depending on the size of your family). v.	Cable or satellite TV -- getting rid of this filth will save your budget and your soul. vi. Internet -- The Internet is almost becoming a necessity in today's modern world, but if you are in debt, you could cut it out if necessary and use the library's connection. vii. Smoking (can cost hundreds of dollars per month - and destroy your health). viii. Going shopping for clothes you don't need. ix. Going out to the movie theater. x. Going to profession sports games. xiii. If you are doing any of the previously listed things with any frequency, it is no wonder you are in debt and are struggling to get by. xiv. If you are in debt and/or are not saving money, cutting out these things will save you several hundreds of dollars per month that you can put towards paying off debt and/or saving money. B. Once you have gotten your spending under control by eliminating wasteful and unnecessary purchases, then start working on paying off your debt. i. Start with your smallest debt first and attack it with a vengeance, putting all of your spare money each month towards it. ii. Paying it off quickly will give you a sense of accomplishment and will motivate you to pay off the rest. iii. Next, attack the debt with the highest interest rate, like credit cards. iv. Paying interest is wasted money, and making minimum payments on credit cards will ensure that you will be a lifelong debt-slave. v.	Once you get your smaller and higher interest rate debts paid off, then focus all your energy on your big debts, such as mortgages, cars, and student loans. vi. The money you freed up from paying off the smaller debts will allow you do pay off the larger debts more quickly. vii. Once you're out of debt, stay out of debt by saving all the money that you were paying on your debts. 5. Rule #5: Create a budget and make it automatic. a. Remember, God gets the firstfruits, not the leftovers (Pro 3:9-10). (i)	If you give God the firstfruits of all your increase, He promises to bless you with abundance. (ii)	The reason that some Christians don't do this is because they obviously don't believe that God will do what He says He will. (iii)	If they believed God, they would do it. b. If you skimp on God, you will not prosper (Hag 1:3-9). (i)	Do you feel like you are always struggling to get by? Consider your ways. (ii)	Do you wonder why you can't ever seem to get ahead? Consider your ways. (iii)	Do you wonder why you can't every seem to get out of debt? Consider your ways. a. This can be your rainy day fund for when unexpected things come up such as house repairs, health costs, child related costs, etc. b. This fund will also give you peace of mind in case of a job loss. c.	You should have savings enough to hold you over for at least three months without a job. a. If you are renting, rent the cheapest decent place you can find and save money for a house if you want one. b. Save at least 20% of the value of the house that you want. c.	If you put less than 20% down on a house, that means you can't afford the house. a. Make your "car payment" to your car fund and you will never have an actual car payment again because you will be able to pay cash for a car. b. You can also use this fund to cover repairs on your car as they come up so that you are not scrambling to find money for them, or putting it on a credit card. c.	If you are currently financing a car, pay it off as quickly as possible, and when it is paid off then make that same "payment" to your car fund. d.	If you have an expensive car that isn't paid off, consider selling it and buying a less expensive car that you can pay off more quickly so that you can begin saving to pay cash for the rest of the cars you buy in your lifetime. e.	You only have to "sacrifice" for a few years and you will never have to make another car payment again. f.	If you want to make your pastor happy, inform me someday that you just bought a car with cash. a. By automatically putting a little in this account every paycheck, you will never be surprised and scrambling for money when your biannual car insurance bill comes due. b. You will also save money by paying your car insurance every six months instead of monthly. a. By automatically putting a little in this account every paycheck, you will have money to go on a vacation. b. If this fund is empty, don't go on vacation. c.	Financing a vacation is a mark of insanity. a. Set a little money away each month for each of your children in a separate bank account for college, trade school, or just money to get them started in life. b. Since this is long term savings, consider putting it into gold or silver so that its purchasing power is not destroyed by inflation. B. When you get a raise, don't change your spending habits, but rather save that extra money proportionally in your different accounts. C.	Start this as soon as you get your first job and you will not be a lifelong debt-slave like the rest of the serfs in our society. 6. Taking out a 30 year mortgage so that you can write off the interest on your taxes is stupid. A. Only a moron would spend 100% to save 30%. B. You don't get back all the interest you paid on your mortgage on your tax refund. C.	You simply don't pay income tax on the amount that you paid in interest. D.	So if you paid your banker-master $1000 in interest, you don't have to pay the government 30% of that $1000 in income tax. E.	So you paid $1000 in interest to your banker-master and you saved $300 on your taxes, for a net loss of $700. F.	If you would have paid $0 in interest to your banker-master and paid $300 to the government, you would only have a net loss of $300. G.	It doesn't make financial sense to spend $1000 to save $300. H.	If you don't agree, then give me $1000 and I will give you $300 back. 1. You're not going to listen to a thing I've said. 2. You're going to keep piling on more debt and saving little to nothing. 3. Kids -- please listen to me and take heed before you embark on a life long journey of serfdom and debt-slavery. 4. Chances are, you won't listen to me either. 5. I am just a lonely preacher fighting against a world of banksters, politicians, media, commercials, teachers, parents, and peers. And if I never have a nickel, I won't ever die ashamed. 6. If you think I'm being ridiculous, please prove me wrong. i. Created a budget and stopped wasting money. ii. Paid off your credit card. iii. Paid off your car loan. iv. Paid cash for a car. v.	Saved up a 20% down payment on a house. vi. Paid off your house. viii. Saved up a three-month emergency fund. ix. Are saving for retirement. x. Have set up multiple bank accounts and automatic transfers to save for various things. B. If the majority of you do that, I will publicly apologize and admit that I was wrong. 7. If you refuse to heed this instruction, don't be surprised if you end up in poverty (Pro 13:18).